The decision to become a CNA will need some background information as to what a typical day of a nursing assistant is like. This way, you will be able to assess whether you are totally capable of doing the job and whether this is the career path that you would like to choose. As much as working inside the facility is concerned, this is what will usually occur on a CNAs day to day task. However, there are also other rules and regulations which cover how a worker acts even outside of the job but that will not be covered here. Your day will start depending on the type of shift that you are in, whether you are on a night or day shift. In some facilities, this can be divided into three shifts while others only employ two. So, your working schedule will be from about 7 to 8 hours up to 12 hours in one day. You may also need to do two shifts in one time if the facility is running low on their staff. Hence, you have to be prepared to do such types of schedules. If you are on a day shift, your day may start at about 4 am reading the tasks that the nurse has provided for each and every patient. Typically, you will have a lot more tasks than those on night shifts. You will have to prepare the patient’s meals as well as feed them if they are physically incapable of feeding themselves. You will also help them in their grooming, toileting, physical exercises, and turning bed-fast patients in order to reduce infections or bedsores. Aside from this, you will also need to change the linens and clean up the trays after the patients have finished eating. There may also be times when you will have to sit down and talk with the patient in order to help them calm down or just to entertain them if you do not have any other tasks for the day. You will also need to answer call lights and cater to your patient’s needs. This can be particularly hard if there are only 2 or 3 of you to handle a large number of patients. If you are working in a specialized facility, you may have to do other tasks as well. You may need to observe your patients more carefully by recording their inputs and outputs, glucose levels, vital signs, and perform more technical work compared to an average CNA. The work that a typical day of a nursing assistant can entail can be quite exhausting. This is due to the fact the your patient’s needs and demand are usually physically demanding and the work hours can be quite longer than an average 8 hours of work. 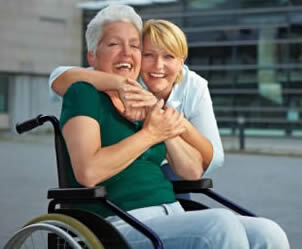 You may also be constantly be required to be on your feet and doing errands for the nursing facility. 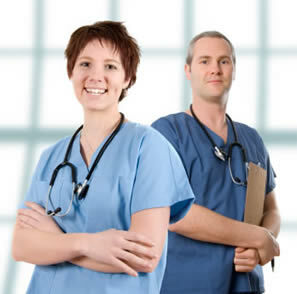 Visit this page to read more about the nursing assistant skills commonly used on the job.